On July 29, 2007, after 46 previews and 5,461 performances, the Broadway musical Beauty and the Beast closed at the Lunt-Fontanne Theatre. As of 2018, it is the tenth-longest running musical on Broadway, and has had several national tours. Former Disney CEO Michael Eisner, who was instrumental in bringing Disney to the Great White Way, was present at this final performance, as were many fans, friends, and special cast members. Recording artist Donny Osmond reprised his role as Gaston for the final show, with Anneliese Van Der Pol and Steve Blanchard playing the role of Belle and the Beast, respectfully. On April 16, 2008, Disney Theatrical Productions hosted an evening at the Hudson Theatre honoring the music and legacy of composer Alan Menken. Hosted by Thomas Schumacher, the evening featured Broadway performers Josh Strickland, Ashley Brown, Sierra Boggess, and Sherie Rene Scott; Donny Osmond, who played Gaston for a stint in Beauty and the Beast, also stopped by to liven the evening. Menken, who made his Broadway debut with Little Shop of Horrors with lyricist Howard Ashman, is better known for his work with Disney animated features beginning with The Little Mermaid; several of the animated features have made it to the Broadway stage. The evening focused in his lesser-known work, with the performers paying homage to a Broadway great. Posted in Uncategorized and tagged 2000s, Broadway, Disney Legend, Disney Theatrical, Music, Special Event. Bookmark the permalink. On October 11, 2008, the first Russian-language production of a Disney musical, Beauty and the Beast, opened in Moscow’s MDM Theatre. Disney Theatrical Group worked with Stage Entertainment to bring the show to Russia almost fifteen years since the show originally began on Broadway. Igor Ivanov, cast as the Prince, won his role through a reality program called Find Your Prince. Actresses Natalia Bystrova and Ekaterina Guseva shared the role of Belle. Posted in Uncategorized and tagged 2000s, Disney Theatrical, International, Musical, Walt Disney Theatrical. Bookmark the permalink. On July 7, 2011, the stage musical version of the animated feature film Aladdin premiered at the 5th Street Theatre in Seattle, Washington. This version of the musical, which ran through July 31, 2011, was a pilot production to see if it proved itself worthy of a transfer to the Broadway stage. Also notable about this version is that it was a return to the original pitch from Alan Menken and Howard Ashman that was deemed not suitable for the original hit film, but ended up working on the stage. The cast and creative team was a mix of Broadway veterans and members of the Seattle theatre scene, including Tony-nominated director and choreographer Casey Nicholaw, a veteran of the 5th Avenue Theatre. The musical eventually proved popular enough and was well-received by critics that it began the process of being retooled for the Great White Way; Broadway previews were almost three years later, with an opening date of March 20. Posted in Uncategorized and tagged 2010s, Animated Feature Film, Disney Theatrical, Music, Musical. Bookmark the permalink. 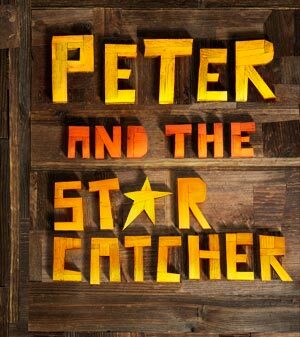 On March 9, 2011, the Disney Theatrical Off-Broadway Production Peter and the Starcatcher opened at the New York Theater Workshop. Based on the bestselling book by Dave Barry and Ridley Pearson, the play gives the account of how Peter Pan became Peter Pan. It received mixed to positive reviews from critics, and was transferred to Broadway and opened on April 15, 2012. It garnered five Tony Awards, including one for Best Featured Actor in a Play for Christian Borle, and was nominated for Best Play. It starred Adam Chanler-Berat as Peter, Celia Keenan-Bolger as Molly, and Christian Borle as Black Stache. Posted in Uncategorized and tagged 2010s, Broadway, Disney Theatrical, Tony Award Nominated, Tony Award Winning. Bookmark the permalink.